BILLY CRYSTAL WAS hosting, Meryl Streep was nominated and Woody Allen was a no-show once more – it really was business as usual at the 84th Academy Awards on Sunday. The Artist was predictably the big winner of the night. 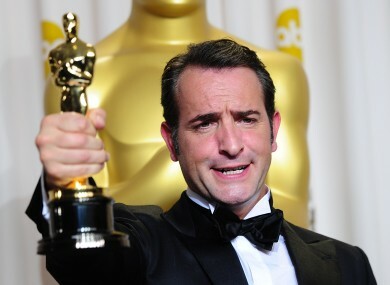 After dominating this year’s awards season, the silent movie took five awards back to France, including best director (Michel Hazanvicius), actor in a leading role (Jean Dujardin) and best picture. The homage to Old Hollywood was nominated for ten awards. It was also recognised for its Original Score and Costume Design. Meryl Streep completed her clean-sweep of 2012 awards’ ceremonies for her portrayal of Margaret Thatcher in The Iron Lady, beating out Viola Davis, Michelle Williams, Glenn Close and Rooney Mara in the actress in a leading role category. There was also an Irish winner on the night with Belfast-born director Terry George and his daughter Oorlagh picking up the gong for best Short Film (Live Action). Their film, The Shore, shows two boyhood best friends divided by a misunderstanding during the Northern Irish Troubles. The short follows what happens when they meet up 25 years later. In his short speech, George thanked his daughter and joked that he was glad to have an opportunity other than her wedding to tell people how wonderful she is. Even though Uggie was snubbed by the Academy, the dog star of The Artist featured prominently in best director Michel Hazanavicius’s acceptance speech. I want to thank Uggie, the dog. I think he doesn’t care. I’m not sure he understand what I say. He’s not that good, but thank you. The ‘In Memorium’ section reminded us all how many well-known faces that passed away in the last 12 months. Conflict photographer Tim Hetherington, Steve Jobs and Elizabeth Taylor’s faces all flashed on screen while Esperanza Spalding sang What a Wonderful World. French-American ties were improved with the best actor award going to Jean Dujardin. To start his speech, he proclaimed, “I love your country”. However, Crystal came back onto the stage with a cheap jibe against French people. They must be going nuts in France right now. Or whatever they have in place of joy. The comedy moments of the night, although not terrible, did not elicit overly-enthusiastic responses from the mostly conservative audience. The best moment probably came from Crystal’s guessing game about what certain celebrities were actually thinking. Early reports are showing a mixed reaction to Crystal’s hosting. Most concede he was better than last years’s pairing of Anne Hathaway and James Franco but complained that his jokes lacked sparkle and his opening stint did not match his own previous efforts. Email “High five: The Artist dominates the Oscars”. Feedback on “High five: The Artist dominates the Oscars”.